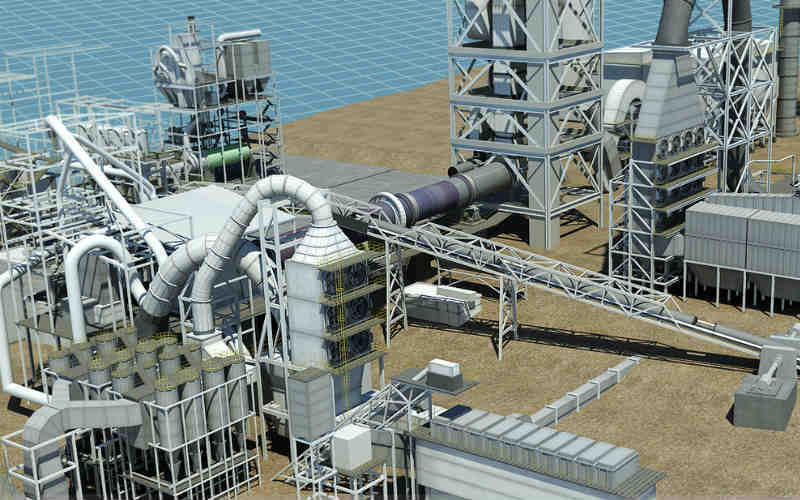 Dangote Cement has recently started operations at its new USD 500 million cement plant in Mtwara district, Tanzania’s south eastern region which was and that aims at making the country self-sufficient in cement production. The new plant has a total capacity of 3,000 metric tonnes per day (TPD) of clinker output, and is working at almost 100% of its capacity with three packing machines at a rate of 2,400 bags per hour or 2,880 TPD. The plant also counts with its own 30 Mw gas-based power source and 500 million tonnes of limestone reserves from Mtwara mines, enough to secure production for the next 149 years. Mtwara plant is part of Dangote’s regional plan to shift Africa from cement importer to producer, raising the yearly production by 25 million tons per annum. The plan started with the commissioning on June 4th, 2015 of a new cement plant in Ethiopia, followed by Zambia and Cameroun which totaled USD 4.8 billion in Dangote’s investments in cement plants, backed by a USD 4.34 billion deal with the Chinese constructor Sinoma International Engineering Co to extend the current capacity from 45 million tonnes per year to 70 million tonnes by end of 2017. Such investments by Dangote Cement not only sustain Tanzania and Africa’s economy by boosting job creation, but also help to improve economic stability and to raise living standards among the poorest, explained Tanzania’s former President Jakaya Kikwete. The Mtwara cement plant started operations in the right time when demand for cement is increasing due to a boom in Tanzania’s construction sector which has risen from 7.0% of the country’s GDP in 2005-2006 to 12.5% of GDP in 2014-2015, Kikwete added. The construction boom has raised Tanzania’s cement consumption from 34.5 kg per capita to 185 kg per capita in the same period, the Global Cement Report indicates. According to the Tanzania Mortgage Refinance Company Limited (TMRC), demand for new houses in Tanzania has grown by 228% from TZS 46.15 billion placed in mortgage loans in the six months ending in December, 2014 to TZS 151.48 billion placed in the same period ending in June, 2015.